Here I go into the long and the short of my huge signal chain! What makes my tone... my tone, in a sea of guitar effects choices. I’ve bought many pieces of gear, as well as sold and traded my way up. Always seeking to craft my sound with the aid of the tools I could afford. Technology has changed the way we do things while improving the signal processing of many a piece of gear used in music making. 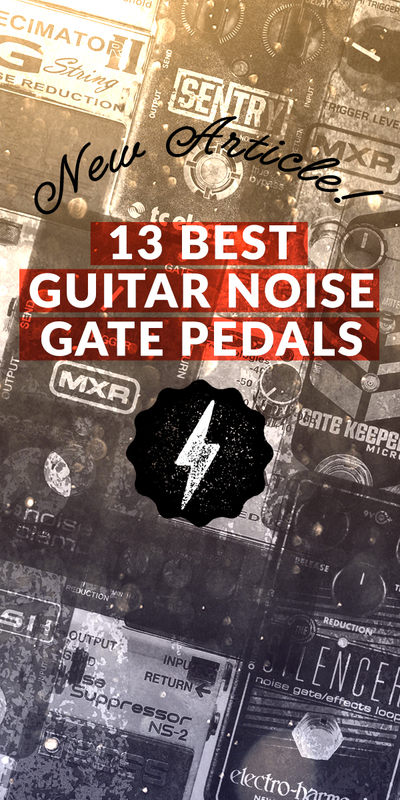 But guitar pedals… There’s something so raw and elemental about them. Like thunder… or glaciers pushing and crashing into one another. 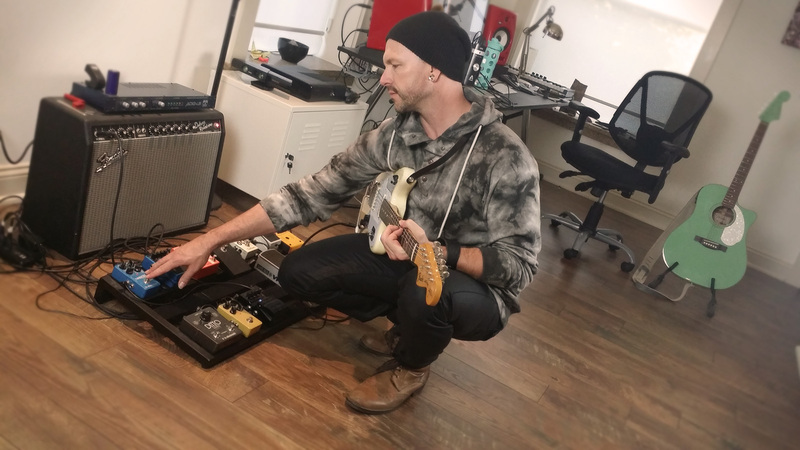 Some guitar effects do their best to stay true to their analog origins and other stompboxes take us to new dimensions through the digital conversion our choice of source. What I’d like to do is share with you what my current set up is. Some would call it a “rig” or pedalboard. What ever you call it, it’s my tone! So let’s start with the source. My guitar. I’m playing a Johnny Marr edition Fender Jaguar. I bought it for many reasons. The number one is of course tone. Marr being the lead guitarist for the iconic band The Smiths was reason alone. Their sound is part of what you could call my artistic linage; the group of artists that have most, and first, inspired me to create music. But also the sheer amount of tweaks and thought that he put into the artist signature version of the Jaguar is astounding. He considered it all and I wanted to reap the benefits of that. The next part of my tone, in a classical sense, is really my amp – the Fender '65 Deluxe Reverb. Some would say that an amp is an instrument in and of itself. That you don’t just play through an amp, but you symbiotically work with it. You pump it, you slap it, you make it roar. It has its own voice and you combine that with the voice of your guitar. Now what comes between the two, is my obsession: the pedal board. An indulgence to be tempered at times. A Pandora's Box of Stomp. 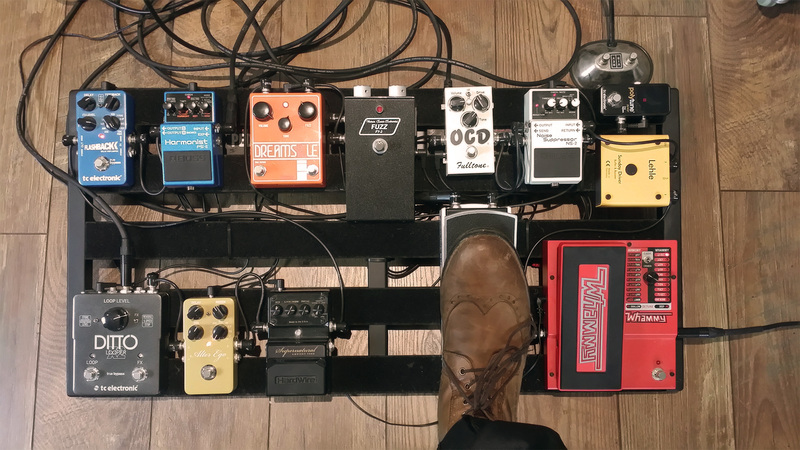 You see, in my style of playing and music composition, there is no shame in using pedals. I love indie music, and manipulating sound however I like is my freedom. Some of you reading this may be too young to understand, but there are people out there called purists. Stay away from them. I think, mostly due to the times we live in now and how music genres have all cross influenced each other, they have faded away. 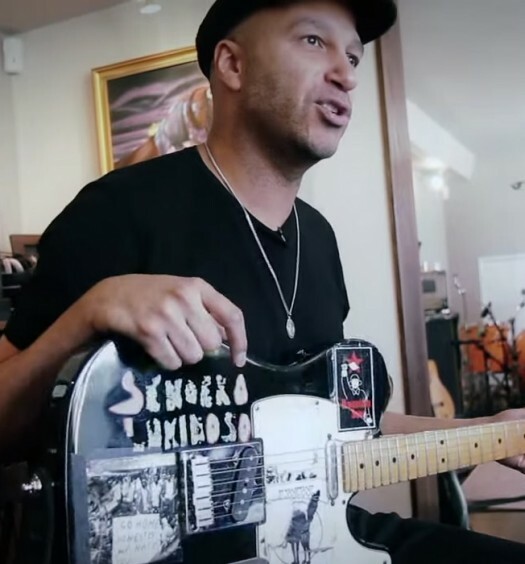 But there used to be guitarists who shunned players who used things like delay, etc, as not being a true guitar playing technique. I disagree. So what the heck am I using now? I start off my signal chain with a Digitech Whammy for some harmony effect as needed. It then goes through to the Lehle Sunday Driver. That pedal is a high end preamp that I use to boost the signal post Whammy. I placed it there because the Lehle adds a bit of color and punch, which I didn’t want to potentially overwhelm the Whammy with. I suppose I could flip the two, but with pitch shifters you want to give them all the help you can so that they don’t trip out and give you that awful warble sound. From there the signal runs through the Boss NS-2 Noise Suppressor. That pedal then sends the signal though all my fuzz and overdrive pedals and then back into itself. It’s a brilliant pedal, and I’ll write more about it soon. Let’s just say it’s an essential to any pedal board running dirty. The overdrive and Fuzz pedals are: a Fulltone OCD, Watson Classic Electronics FY-2 Fuzz, and a Blakemore Effects Dreamsicle. Note: Some would argue that I have this part of my signal chain setup incorrectly. Well… there's two sides to that quandary. One is: always make your sound how you want it – even it “breaks the rules” or sounds “horrible” to others. I will tell you now – there is no Tone Cop who will kick down your door and correct your setup. He doesn't exist. The other side to this is: Yes, many people suggest, due to impedance levels, to have your Fuzz pedals before any tone boosters or a noise gate like the Boss NS-2 (which has a signal buffer). With all pedalboard setups, be willing to rip everything up and reorganize the signal path to get the sound you want. Baring all that in mind, I'm probably going to do that soon! Not too sure if I really like the OCD so much anymore and with any pedal board you create, it’s an ongoing experiment. So be willing to kill some pedals in the process of finding your tone! So, like I said, the Boss NS-2 noise gates all those bad boys and sends the signal onwards to my Ernie Ball VP JR Volume Pedal. It has an constant external send, even when the volume is off, to my TC Electronic Polytune Noir Mini Pedal Tuner. Its pretty cute and compact, isn’t it! Go ahead and fiddle with it all. So here’s where it gets a little nuts. 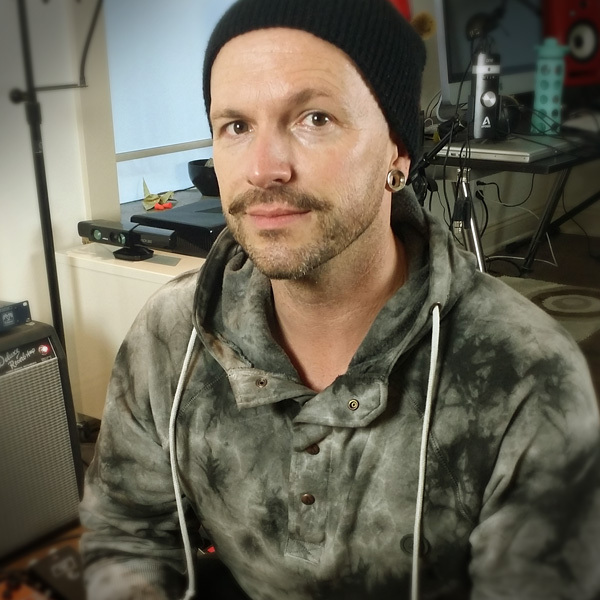 I live in an apartment and there is no way I can crank my Fender Deluxe up to 10 – or even 2 for that matter. So what to do? I run the signal from the volume pedal out to the amp and then take the direct output of the amp and send it to a Palmer PGA-04 ADIG-LB (which has the most insane name ever, why?). What’s the Palmer, you ask? It’s a single channel speaker simulator designed for using your amp without a speaker cabinet. I then take the output of that and then send it to all my “pretty” effects boxes. You see, up until now, the signal of my chain has all been in mono. I then take that beautiful colored sound, post Fender, and make it go stereo wide through a Boss PS-6 Harmonist, TC Electronic Flashback Delay, Digitech Supernatural Ambient Verb, TC Electronic Alter Ego, and then finally resting at the TC Electronic Ditto Looper pedal. As you can see there is still some room on my pedalboard and you can bet I have a few things in mind to fill it with! Not so sure I like the Ditto. I’m really no good with getting the timing right to make loops with my foot that are beat matched. And I need that. Supposedly the Digitech JamMan Solo XT solves that with an adjustable BPM and quantize timing function. That pedal also takes up a lot less room than the Ditto so I could be saying hello to it quite soon. What you can’t see in the picture is that all my pedals are being sent conditioned power by two VooDoo Labs Pedal Power 2 Plus's. They’re mounted underneath my Pedaltrain Pro pedalboard. And in case you’re wondering, all the cables that connect each pedal are George L’s. Pricy stuff! Ok, well hope that gives you some insight to my rig. Please feel free to ask me any questions you may have and sometime soon I’ll post some of the sounds that come out of this beast of a setup.